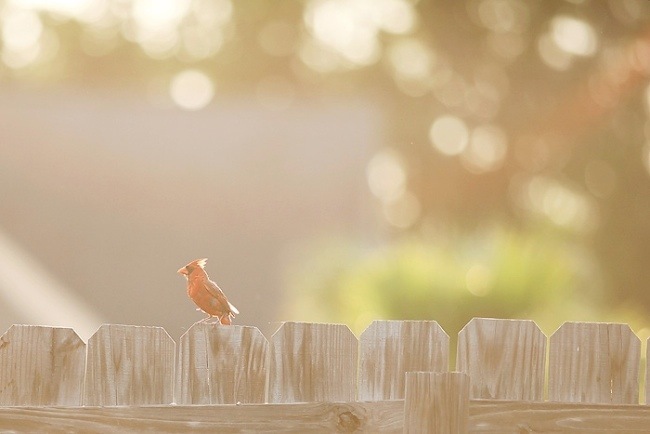 I snuck as close as I could to this cardinal that was back lit on my fence by the evening sun. Then when I went inside I was able to get a couple more through the window while he was at the feeder. I was so happy to see these boys late Monday night! They had a great time with their grandparents. Apparently, Alec forgot to take the jacket off when he left Michigan. I can assure you if you come to Louisiana in June, you do not need a coat. I took a few photos last winter of this canoe by our neighborhood lake, but it's much prettier now with green grass in the background. We have had some red cardinals around lately, which is very unusual for us, I think they are nesting nearby, but try as I might I cannot get out of the house fast enough when they are around to photograph them. They are so very pretty. Your last shot of the cardinal in mid air is fabulous! Have a wonderful 4th of July weekend with those boys of yours. Your photos are amazing! love the cardinal in mid-air! Lots of great pictures. I love the cardinal in flight. 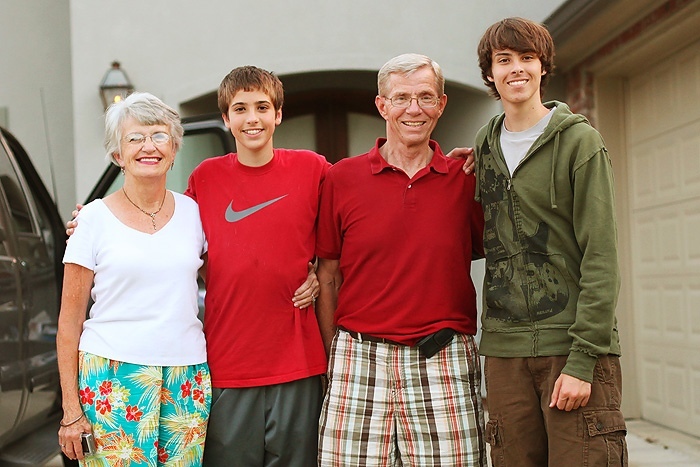 The canoe photo is wonderful and I really like your sons with their grandparents. 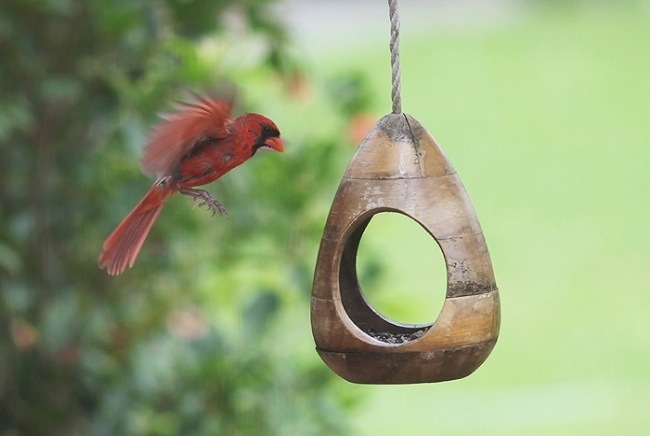 love that cardinal in flight! beautiful shots today! Wow...you nailed it on that beautiful cardinal! Just amazing! And I just love the picture of the boys and their grandparents. Looks like a lot of people really missed them! for stopping by my blog. I hope you can can come by on Friday's for Foto Friday. VERY nice pictures! All of them! Love the hazy effect on the first one! and something about the one with the boat, really gets my attention! Thanks for sharing! I'm sorry, I meant to say that I find your pictures are great! To catch that cardinal in action like that is awesome! I have been trying to capture a woodpecker for months. Oh he drives me crazy, lol. So hope with my new camera and patience I hope I will be able to achieve it! I am jealous of your wonderful bird photos. I have been trying to catch some great ones for months and my house is just to loud and they are just too fast. Oh my word! These are wonderful! I have such a thing for red birds. Back during my early days of grief, I was blessed with an entire yard full of red cardinals all at once and ever since they've held a special place in my heart. 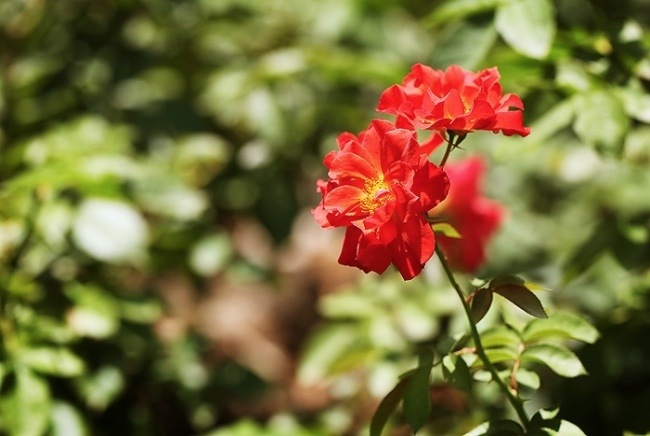 Your last flower shot is beautiful as well! Wow! I love each of these! Cardinals are my absolute favorite! I think we should join a bird-watching club with all our bird photos lately! :) Have a great weekend! Love that first shot. It's beautiful. Oh my, what a terrific looking couple of boys you have there! I bet you were happy to have them home! Lovely shots! I love the first one with the cardinal and the lovely summer light! All beautiful shots! love the last bird shot--so cool that you caught him in the air like that! Those bird shots Deb- AMAZING!!!!!!!!! Great catch of the cardinal mid-air! I like your feeder ... but it looks very inviting to the squirrels! Beautiful captures. 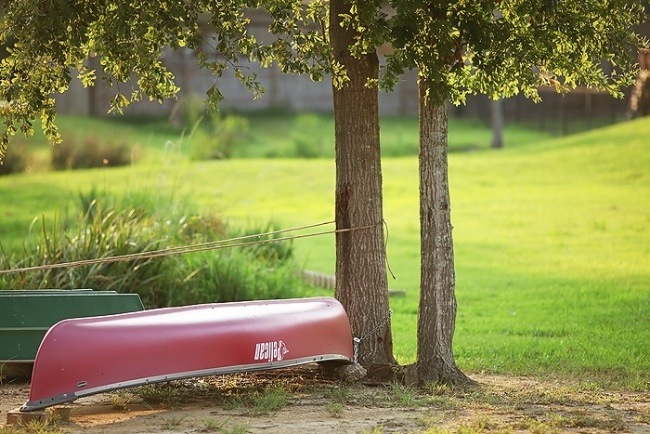 I especially like the canoe and the cardinal in flight. I love cardinals! So pretty! You still need a light sweatshirt here in NY on July 1st our mornings are nice and chilly! Have a great 4th! Almost all of your photos were RED! I loved the cardinal pictures. The one with him mid-flight is pretty amazing. Beautiful shots! Especially love the cardinal ones! Have a great weekend! Great shots and that last one is just amazing, wonderful capture! 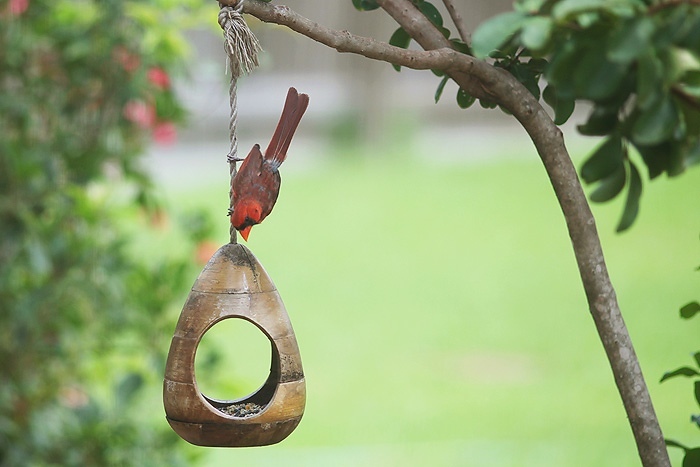 beautiful bokeh with the cardinal! Have a Happy Holiday! Fantastic first shot, Deb. Love the simplicity of it! Wow great job capturing the cardinal midair! And I love the light on the first one. I love them all. Gorgeous! Love the way the light is filtering through on that first pic! Great capture. Thanks for joining our Crazy Days of Summer Challenge!